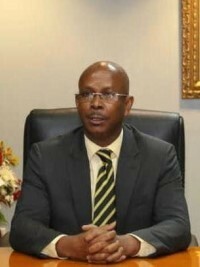 Following the correspondence of President Jovenel Moïse designated Jean Michel Lapin as Prime Minister to replace Jean Henry Céant victim of a vote of no confidence in the Chamber of Deputies on March 18 https://www.haitilibre.com/en/news-27219-haiti-flash-haiti-has-no-more-government.html Carl Murat Cantave, the President of the Senate Office invites in a note Jean Michel Lapin to deposit his documents at the level of the office and to follow all the procedures prescribed by the Constitution, to start the process of ratification of his declaration of General Policy and the formation of his ministerial cabinet, the last step after ratification, before sitting in the Primature "[...] Following a letter from the President of the Republic, Son Excellency Mr. Jovenel Moïse, dated April 9, 2019 referenced PN/JM/0234 on your appointment as Prime Minister, correspondence to which is annexed the decree published in Le Moniteur No. 54 of April 9, 2019, the Office of the Senate of the Republic invites you, upon receipt of the present, to follow, as prescribed by the Constitution, all procedures for the necessary follow-up until the declaration of your general policy [...]"
Senator Cantave also announced that a Commission will be constituted in session, which will be responsible for the analysis and conformity of the documents of the Prime Minister designated. He also announced that he has begun consultations with the various political blocs of the Senate to obtain their position on the possible ratification of the next Prime Minister Jean Michel Lapin.